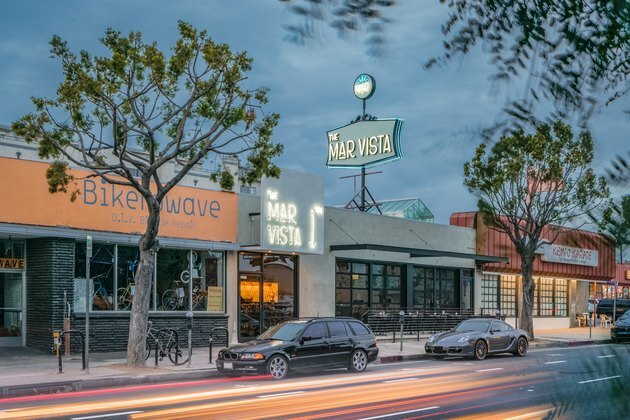 On any given night, the Mar Vista is a stunning representation of an L.A. neighborhood on the rise: it hosts the regulars who are longtime residents, and the fresh faces who are just discovering this sleepy Westside enclave of the same name. 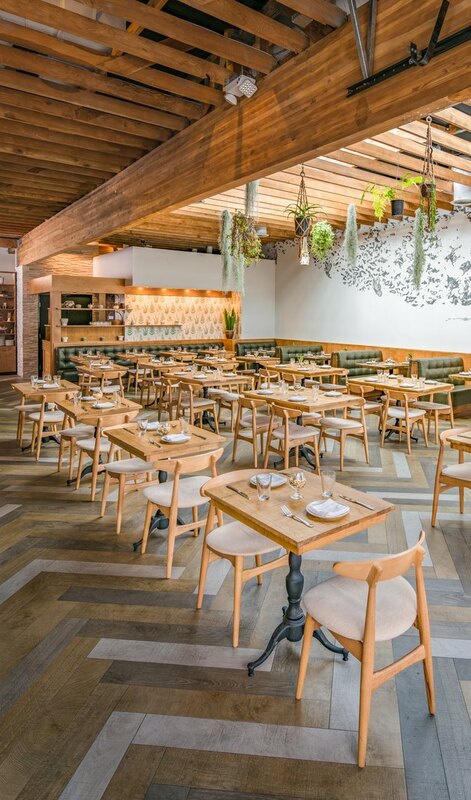 That's exactly what designer Greg Swanson of Black Swan Design Group was going for when executive chefs D. Brandon Walker and Jill Davie called upon him to create a restaurant aesthetic where both parties are welcome. First, Swanson installed custom skylights overhead and hung verdant plants in the sun. He also found a way to preserve the building's past life as a music venue by keeping the rafters, which happen to coordinate with the herringbone floor below. 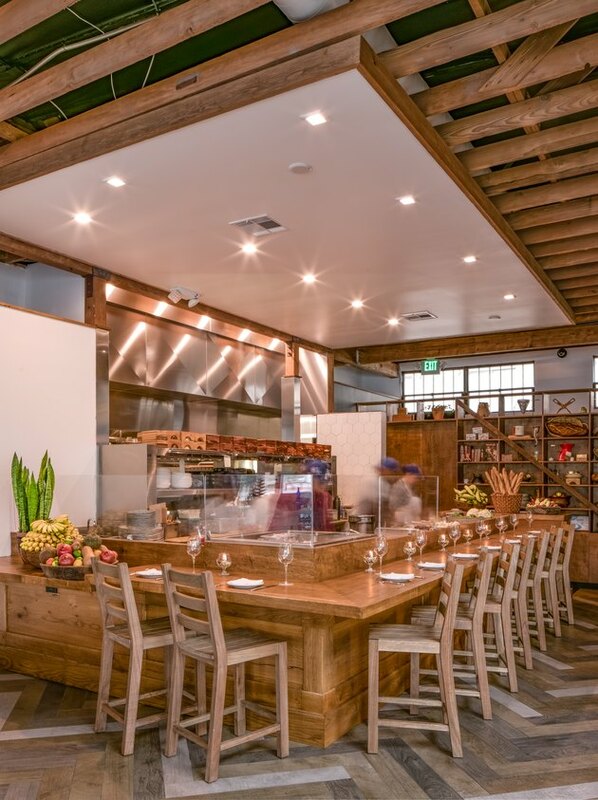 And in order to address the chefs' wish for a universal gathering place, Swanson outfitted the room with intimate custom-made tables and throwback leather banquettes. The look is equally old and new, where classic features mix with current trends. In other words, it's a lot like the neighborhood itself. The exterior's large marquee is a charming reference to the past, but the streamlined front — with its large windows and industrial finishes — is of today's sensibilities. The building had a previous life as the Good Hurt music venue, and Swanson opted to keep its rafters. The tables and chairs were custom-made by Paige Bowen of Bowen House, and Swanson contrasted their smooth, monochrome features with a multi-colored herringbone floor. Custom skylights by Texas Greenhouse Company flood the dining room with quintessential Southern California sun. 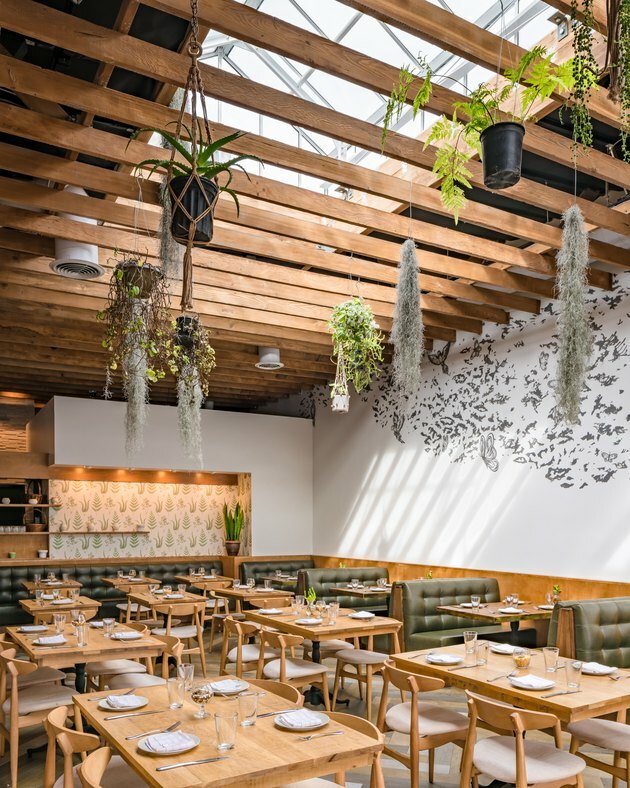 A leaf-patterned wall covering — which was done by executive chef Brandon Walker's brother — draws on the live plants hanging from the rafters, as well as the mossy-green leather banquettes made by Tolteca Manufacturing. Swanson found the green-stained bar shelves in a storage unit in Huntington Beach, CA. 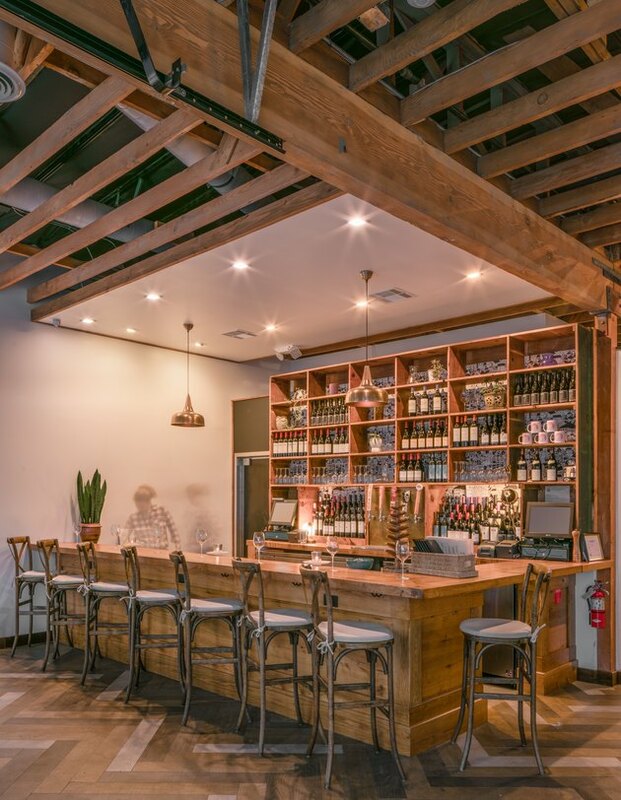 And guests who sit at the white oak bar can notice his favorite design detail: the edge has a pencil-rail groove, inspired by old school desks. When it came to the honey-colored countertops of the open kitchen's seating, Swanson spent time thinking about the height — he wanted something that felt like home. The lighting throughout the space was also intentional, reflecting off surfaces to create a dramatic effect.